Endurance International Group has announced plans to hire 600 new employees, expanding its Tempe, Arizona Office by 71,000 sq. ft. in the process. Published: Feb 10, 2017. 13:01 +0100. Endurance International Group, or EIG, has announced plans to hire 600 new employees between February and October this year, expanding its Tempe, Arizona Office by 71,000 sq. ft. in the process. The move follows its laying off of 530 jobs at other locations. 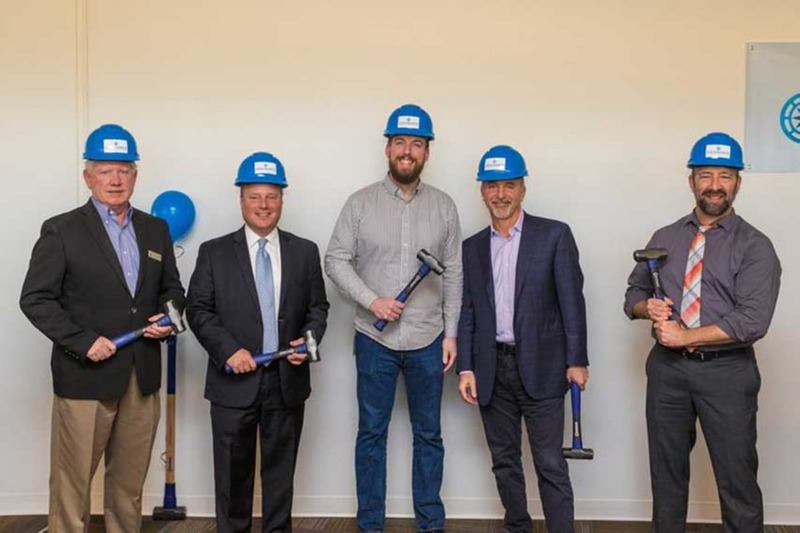 EIG will be investing $1.8 million to expand its current premises to house the new jobs, which will include managerial, technical support, sales, and professional services. The plans are part of a consolidation process and amount to a relocation of jobs the 90 jobs being terminated at their Austin office, and 440 jobs being terminated at their Utah office. Arizona Commerce Authority's Kevin Sullivan, Tempe Mayor Mark Mitchell, Endurance Tempe Operations General Manager Andrew Wright, Endurance President & COO Ron LaSalvia and Scales Technology Academy Principal Stephen Wolf present at the groundbreaking at EIG's Tempe office location. © EIG. With the previous job losses, and new job hires to take place between approximately two to six months, it is clear that the transition will be a gradual process. It would make sense not to follow the debacle at Arvixe where all the staff was fired with little notice, and inadequate plans to handle the load with their other support teams. By transitioning gradually, hopefully, it will give new hires the chance to learn the systems at the company before being thrust in at the deep end. It is very important to get this transition right, as with many of the job losses occurring in one of their most popular and flagship brand, Bluehost and with increasing losses, poor support, and closure of their ticket support service on some brands, they need to earn back the trust of their customers. EIG will be holding a job fair on February 16 between 4:00 p.m. to 7:30 p.m. at the Tempe Office on 1500 North Priest Drive. The current 68,000 square foot office supports several Endurance brands including iPage, Bluehost, Domain.com, SEO Gears and SinglePlatform, but as the transition continues we suspect further brands such as A Small Orange, Hostgator, Site5, Hostnine among just a few will also be located at that location. According to the news release, the company has a “positive work culture and environment with benefits such as game areas for relaxing, attractive medical, dental and vision plans, 401K matching program, flexible spending accounts, and more.“ However, you may want to check out the employee reviews at Glassdoor for actual insight into the company as there does appear to be some mixed reviews.